Who said delicious snacks can’t be healthy? 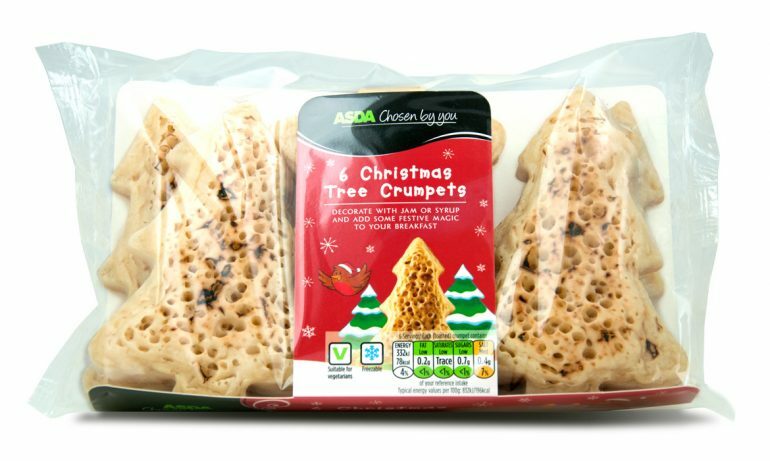 If you fancy a healthier crumpet this winter why not try our wonderful Christmas tree shaped crumpets? Our entire range of crumpets, including our Christmas tree shaped crumpets, are low in sodium and high in potassium and therefore much healthier for you! Our crumpets contain KUDOS™ potassium carbonate, an ingredient which can help to increase potassium consumption, something that is vital in the regulation and control of high blood pressure. Look out for Heart Crumpets, exclusively available in Asda – they’re not just romantic – they’re good for your heart too!